While President Donald Trump opened the door on Monday to beefing up U.S. forces in Afghanistan, he provided few details on how sending more troops will hasten a conclusion to America’s longest war. In his approximately 30-minute nationally televised address, Trump said he would "expand authority" for U.S. commanders to target militant networks that "sow violence and chaos throughout Afghanistan." That paves the way to an increase in the 8,400 U.S. troop level in Afghanistan and broader rules of engagement as part of his plan to end a military conflict that began in 2001, U.S. officials said. But he declined to say how many more U.S. soldiers will be deployed or how long the U.S. force will be there. "Conditions on the ground, not arbitrary timetables" would guide the duration of U.S. military involvement, he said. His effective embrace of an open-ended U.S. deployment contrasts with the expectations of his political base that he would extract the United States from a war estimated to have cost more than $700 billion and claimed the lives of more than 2,400 U.S. service members. But Trump, who has railed against the war for years, finds himself boxed in. Taliban advances are raising the specter of a repeat of 1996, when Islamist militants seized power and provided al Qaeda with a sanctuary in which to plot the Sept. 11, 2011, attacks in New York and Washington. Moreover, the Afghan government is plagued by ethnic and political rifts and corruption and controls less than 60 percent of the country, similar circumstances that paved the way for the Taliban's 1996 takeover. “The choice is between losing and not losing. Winning really isn’t an option,” said James Dobbins, who served as the U.S. special representative to Afghanistan and Pakistan during the presidency of Barack Obama and is now a senior fellow at the RAND Corporation. "He (Trump) can lose quickly by withdrawing, he can lose slowly by standing pat" Dobbins said, adding that Trump "could not lose" by marginally increasing the U.S. force. The ostensible goal of Trump’s strategy is to help Afghan security forces reverse Taliban advances and create a military stalemate that eventually would compel rebel leaders to agree to a diplomatic resolution of the conflict. Yet Trump indicated that diplomacy would take a back seat to military operations, saying that, "Some day, after an effective military effort, perhaps it will be possible to have a political settlement that includes elements of the Taliban." 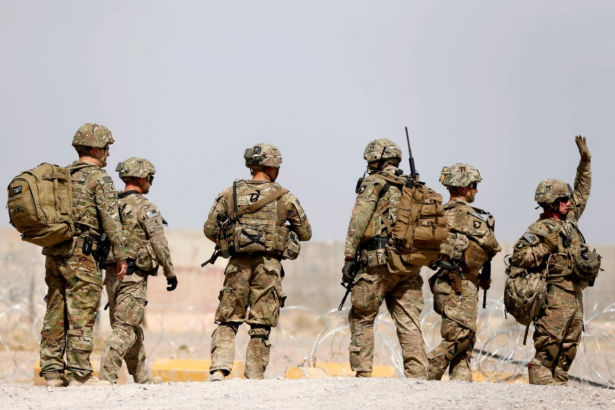 Sending more U.S. troops could "buy time for the Afghan government to increase its legitimacy and gain support for the Afghans, which will help them negotiate an end of the conflict,” said Scott Worden, an expert with the U.S. Institute for Peace. But Worden, also speaking before Trump's speech, said more U.S. troops "alone are not going to outright defeat the Taliban. The military components of the strategy have to be coupled with an equal - if not greater - emphasis on managing the politics of Afghanistan and the politics of the region." Obama tried and failed with what basically was the same approach. He presided over a far larger effort that at one point involved some 100,000 U.S. troops, considerable airpower, scores of CIA drone strikes on extremist sanctuaries in Pakistan, and billions of dollars for reconstruction and democratization programs. Obama also dedicated enormous diplomatic energy to ending the war, appointing a special envoy to coordinate negotiations. Not only has Trump eliminated that post, but the administration has proposed slashing the State Department budget by about 30 percent and has left scores of senior posts vacant. Obama freed five Taliban leaders from Guantanamo Bay and allowed the rebels to open an office in Doha. The Taliban freed captured U.S. soldier Bowe Bergdahl, but they refused to be drawn into talks. Trump signaled a tougher U.S. approach to Pakistan, warning that while it had "much to gain" by cooperating on Afghanistan, it would have to immediately stop "harboring" Islamist militants "who target" U.S. troops and officials. But again, he provided no details of how he planned to convince Pakistan to do so. U.S. officials have long accused Pakistan of failing to pursue top leaders of the Taliban and the allied Haqqani network and to end sanctuaries and support for the extremists from elements of the powerful military and army-run intelligence agency, an allegation Islamabad denies.